When my husband and I were selecting photographers and cinematographers, we were constantly worried that they wouldn't be able to capture all the quirkiness that defines who we are as a couple while also capturing the kinds of pictures our families would want. The minute we met Kamal and his wife (a dynamic duo indeed), we knew we were in good (scratch that - excellent) hands. Both of them went above and beyond to make sure we would be happy. A couple instances of them really taking care of us beyond what was expected of them include: (1) giving us a separate Bhangra shoot, knowing we are Bhangra dancers and also taking a couple extra e-shoot pictures in our traditional clothing for our parents, which was ALL their idea - they never once rushed us and retook the shot a couple dozen times and then worked it into our wedding highlights video and provided us the full music video shoot - literally, NO ONE ELSE would do this for you (2) letting us take the silly e-shoot pictures we wanted while also making sure we took a couple "normal" ones to make sure we didn't miss anything, (3) staying back at our wedding well past the time they were required to and not once complaining, (4) we were extremely late to our own reception and they made sure to take us aside and take those full shots with just my husband and me, both inside and outside while fending off crazy wedding guests dying to take a selfie with us, and a thousand other things. I could go on forever because both of them were not only extremely professional, but also took the time to get to know us as a couple. Their highlight videos are AMAZING! Looking back at the pictures and video, they captured exactly what I wanted to watch to relive my wedding without any of the mundane elements. I was SO SO SO impressed. From being there physically, capturing all the moments that I cared about the most to giving us a flawless finished project, I can't say enough good things about these guys. Lots of love to you both! <3 So glad we chose you for the most important part of our wedding. Incredible work by The Best Team. Words can not express how happy we both were right after choosing you for our big day. Kamal and Gurpreet been very patient with both of us went beyond there time to make sure they make us happy. Usually people just spend there 4-5 hours do there job and leave. COL team makes sure bride and groom are happy before they leave at the end of the day. It’s just not pressing that click on the camera take 100-200 pictures and that all , unless or until Kamal is not happy with the picture you have to take re take and re take X amount lol I am just so happy with the work they have done for our big day. For sure our kids will enjoy watching it one day. I did not cry while leaving my Parents house but yes I got so emotional as soon as I saw my wedding next day edit. Love you both , God bless you and keep up the good work. Kamal and his team were phenomenal. They provided such great customer service throughout our wedding and engagement ceremonies. They were on time for every event, never got in the way of anything, gave us tips on how to make the video better. Kamal was always text away answering them within 24 hours for any question you had. He also gave us guidance on how to save time and make thing go smoothly. After we saw the final product, I and my wife were blown away on the quality of the movie and how easy it was to play. The NDE was amazing. It was also easy to share video links with friends and family. 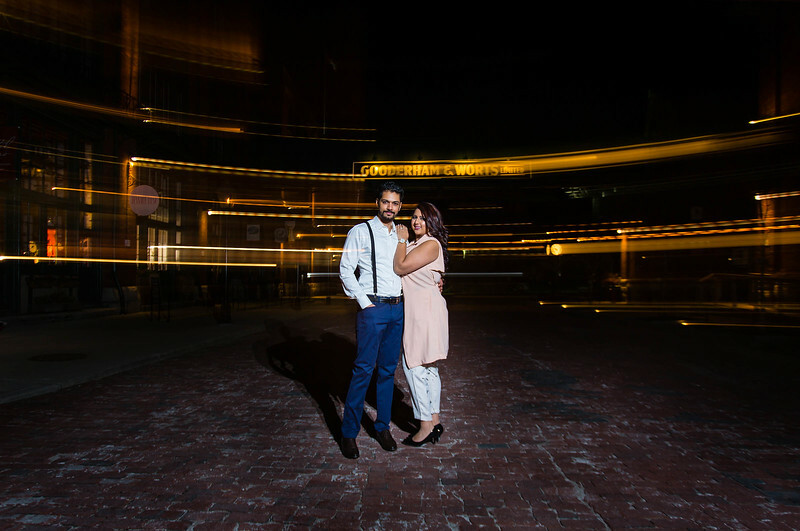 Thank You Kamal for shooting our wedding. We had a fun time working with you and look forward to working with you in the future. Our experience with COL will always be rememberable! Our e-shoot was done in the Nov and the temperature was in the minus! Even after shooting in the cold, this team came along with amazing shoots and pulled through the cold with us. Talk about dedication! You need a team like COL thats always there rain or snow! If anyone is looking for a Photo and Video package? These guys provide you with it all along with quality and efficient service! I recommend you call COL Films first before going elsewhere! If I could sum up our experience with you in one word … It would be wow. We loved working with you .. The professionalism .. How well you guys worked with everyone in our family and how you captured the best moments . Thank you for such a wonderful experience . Watching the same day edit over and over again brings us such happiness and we are so happy you were part of our biggest day and captured all our moments together . Thank you for amazing work, partnership and a great time . Dear C.O.L Films. Wow! Words cannot even express what Rahim and I felt about the video that you created on our wedding day. You have seriously touched our families hearts when capturing all the special moments of that day. You made such a personal touch to our video and we honestly cannot stop watching it. A lot of couples say that it is not worth the money to spend on a video but because of the video you created for us we can say that it is definitely worth it. When Rahim and I are home and watch the video we get so excited and always thank you guys for making the video for us. From the wedding ceremony to the entrances to the speeches to the dancing you captured every single moment. It’s incredible. We want to truly thank you for this and we will highly recommend you to anyone that needs a videographer. A shout out to everyone at C.O.L Films for being so wonderful to work with. Thank you so much for such a wonderful memory of our day that will last forever! Because of COL Films, we have the ability to relive the most special day of our lives! We’ve received many compliments from family and friends as everyone was blown away from the short film to the entire wedding video. We were impressed by the drone shots along with the music selection Kamal, you did a fantastic job! There is no one else we could have imagined using to capture our wedding day. Much love and happiness! This e-mail was sent by Hardev after the wedding. This e-mail was sent by Neelu after watching their fully edited final long and short film. Kamal and Gurpreet were so great to work with. they were really flexible and easy going. They were also very professional at all the appropriate times. They worked with us and customized our package to fit the needs of our wedding. They were so fun and friendly and I loved how they made me feel so relaxed and comfortable, I had no worries because I knew they had everything ready to go. The Next day Edit was awesome, and they even made a special short film for us that we got as a surprise with our wedding DVDs. it was beautiful it brought me to tears the first time I watched it. The whole wedding video turned out perfect and the quality was outstanding. Kamal and Gurpreet are honest and friendly people, they really have a passion for this and you can tell when you see the final outcome. We were incredibly happy with the service we got from Kamal & COL Films. The COL Films team did a great job with all three of our events, and we’re glad we chose them to capture all the moments from our wedding week. We are especially happy with our same day edit which was a crowd favourite at the reception! The team at COL Films was an absolute delight to work with. They were helpful, accommodating and professional throughout the wedding planning process and we’re so happy that we chose them to capture our big day. They promised us a video that we would want to watch over and over and they definitely delivered! Kamal also created a beautiful short film and a same day edit for us that captured the hi-lights of our day. Thanks so much to Kamal and Gurpreet for all their hard work!! My experience with C.O.L. Films greatly exceeded all my expectations and then some. I was always treated with the utmost professionalism, compassion, and care. Working with Kamal and his amazing team was as though I was working with family. I never felt uncomfortable or like a stranger and their genuine approach to things was greatly appreciated during such a stressful time. Their work speaks for itself – it is unsurpassed by none. Their commitment and talent ensures your memories are captured in a way that allows you to relive your special day even better than you remembered it. A simple thank-you does not express my true gratitude for all their hard work and dedication. I highly recommend C.O.L. Films to anyone who desires to work with a team that truly cares. We would like to thank Chapter of Life Films for their amazing work on our wedding video. C.O.L has captured so many moments and beautifully edited them into a number of artistic and unique cuts that blew us away. The wedding video was well thought out and organized for us in a short time span, with sound and video quality that we’ve never seen before. C.O.L. provided us with a grand portrayal of our wedding day. The soundtracks used were an excellent and fitting choice, adding depth to the details we were seeing.What was also important to us when we were searching for our video vendor was customer service, and C.O.L. was the clear choice. After reviewing our needs and organizing our requests ahead of time, C.O.L. actually listened to what we were looking for and followed through without needing reminders or updates on the day of the wedding. From the time of the service engagement to the time our product was ready, it was a smooth and painless process. On the day of the wedding, C.O.L. was very respectful to our family and worked well with other vendors, the team had a very positive attitude that added to our day. C.O.L. takes pride in their work and the results show; we have and will continue to recommend their team to our friends and family! You have filmed and presented so beautifully, so richly, so joyously these incredibly enchanted moments from the wedding. This film is tremendous, a delicacy, a delight, from the haunting song that starts the film to the film frames that capture the joy that overflows the heart into the eyes throughout this wedding. To the laughter that lingers long after the closing thumbs up. To the many many spectacular moments in this film that will forever illustrate the love story of Parwinder and Sarbjeet. Thank You. And the love of their families. Preserving the mingling of pride, joy and the poignancy on our Dad’s face during the Nandaan to the love in our Mother’s hands as she cradles Parwinder’s sweet face at the Doli, the look of love and happiness on the faces of Sarbjeet’s parents. Thank You. Kamal and Gurpreet and the the entire COL Team ……… with immense gratitude and appreciation for all your hard work. Thank You. Thank you for this gift. …… actually this film is like chocolate for the heart! Hello Kamal, Thank you for your lovely and extremely generous offer. I just got home with a new dvd player! I am extremely touched by your kindness. And from my Mum – lots and lots of love to you both and and your beautiful children. God Bless! We would like to thank C.O.L films for capturing our wedding day. Given the day was busy and hectic, the highlight clip alone was glamorous and to our surprise; it was like watching a commercial or music video. The C.O.L team did a fabulous job putting together our wedding day in a very short time frame. Everyone that has seen the highlight video falls in love with it. We greatly appreciate their time and efforts in creating a spectacular video. We definitely feel they are extremely talented and their work speaks for itself. Thank you and we hope to work in the future with your company again to capture another chapter in our lives. We just want to send you a quick thanks for doing a great job on the photography of our engagement party. It was a last minute booking with you and I know your expertise is in video, but your photography was up to par with the COL standard and exceeded our expectations. We can’t wait to see what you have in store for us for our wedding video. Thanks again and look forward to working with you in the future! After checking at least 50-60 wedding videos from various companies, I came across COL films, had no idea where this company is located, who are the videographers but the only thing I knew that their videos are FUN to watch!! Contacted COL films team, booked our special day with them and now its few weeks passed our wedding. All I can say that, our video is sooo beautiful, great quality and of course great people to work with!Would I recommend this company or would I call them again? Without any hesitation, COL films is my first choice now!Thanks again COL for your great effort and superb film. I know testimonials are important so I have just written this little blurb for you in case you would like to post it. Thanks again for all your work. I really don’t know how to express how I feel after receiving the final product of my son’s 1st Birthday. From creating the short video (Aiden’s-Cake) in 3 days and being so patient with my little one was absolutely amazing. You let him work at his own little pace and were kind each step of the way (It’t not easy working with a 1 year old…LOL). The memory you have created for my son is something that will last forever and something that I will keep close to my heart. Anyone who has seen this video has asked for the link and they all continue to watch it daily because it is that beautiful. As for the actual birthday party…You guys caught moments of that evening that I didn’t even know you guys were around us filming. Such expressions of my son were captured that melted my heart and amazing that you were even around at those times. Most Videographers are busy inside during the party capturing the dancing but someone was outside as well capturing all the fun in the foyer and not a detail was missed. The angles and the amazing shots created such an amazing final product that I would highly recommend your company to any future bride/groom or anyone requiring Video services. The quality of the sound and picture- out of this world! It was my pleasure and honor to have you at my sons event and being a part of creating a lifetime memory of his 1st birthday!